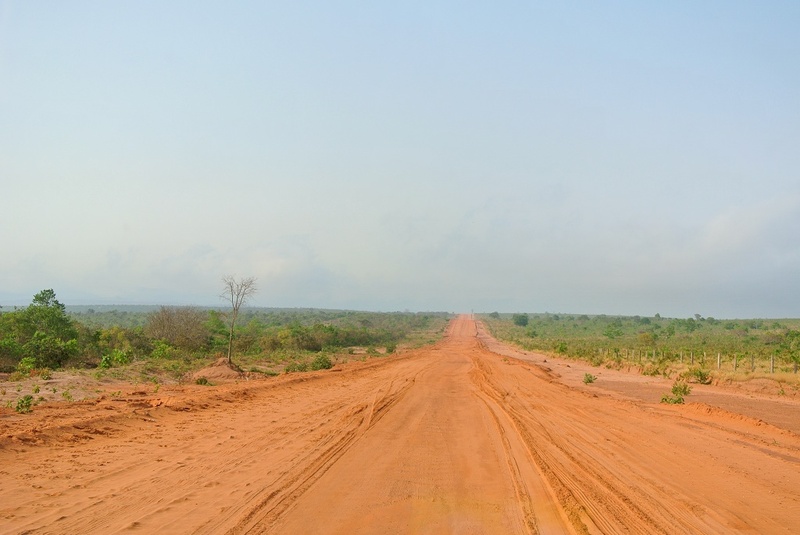 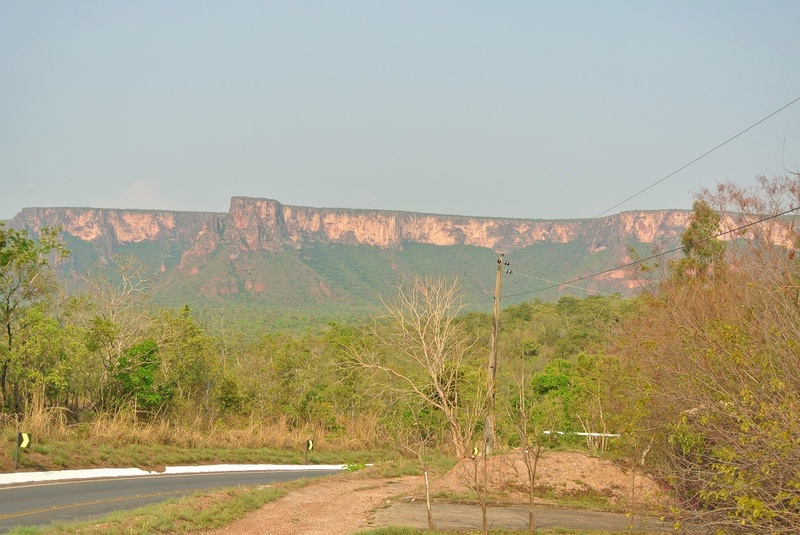 After a stop in a very nice hostel in Corumba where we drank with 2 swiss couples and ate good home-made sorbets, we give up on traveling by boat up the rio Paraguay with the car, and start a long detour on the road to the north of Mato Grosso. 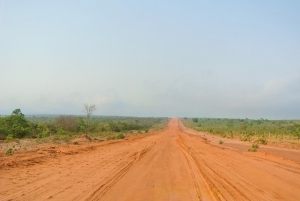 The only points of interests on this part were ostrich farms, cotton fields, and a tropical rain shower. 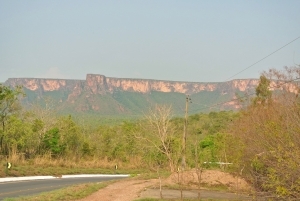 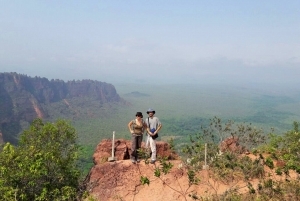 Our destination in Chapada dos Guimaraes national park, a 800m mountain plateau (but it's still as hot!) 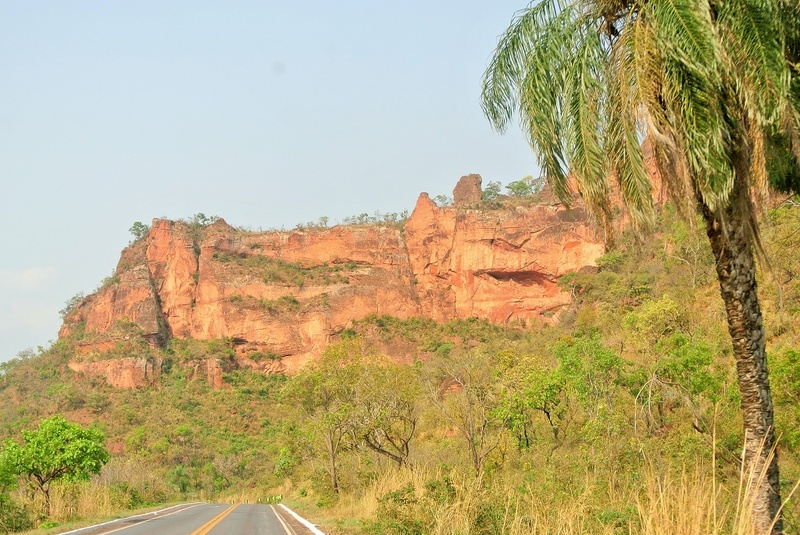 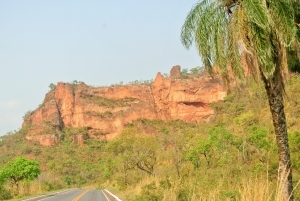 supposed to be the geographical center of south america.we arrive through a beautiful road, bordered by impressive red rocks. 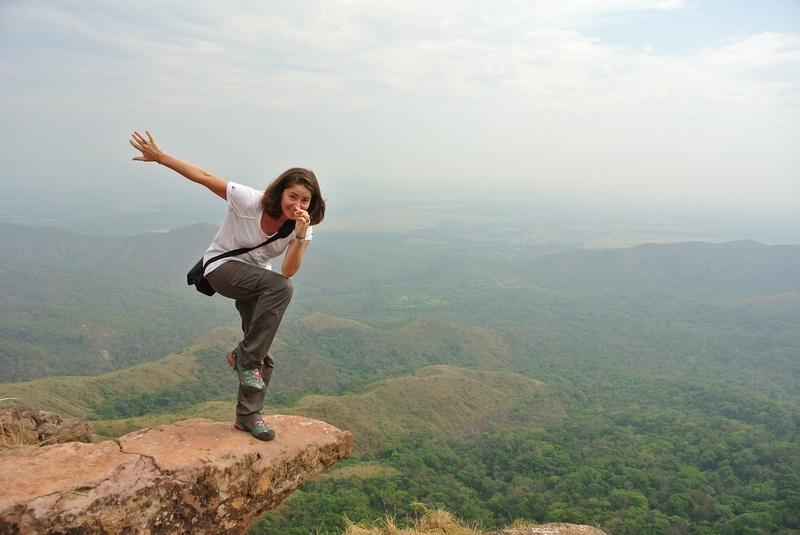 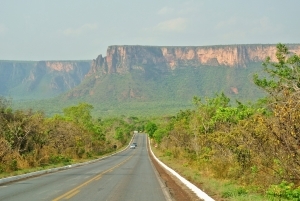 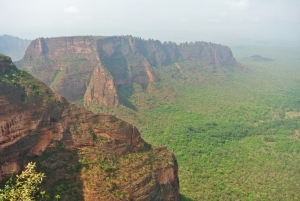 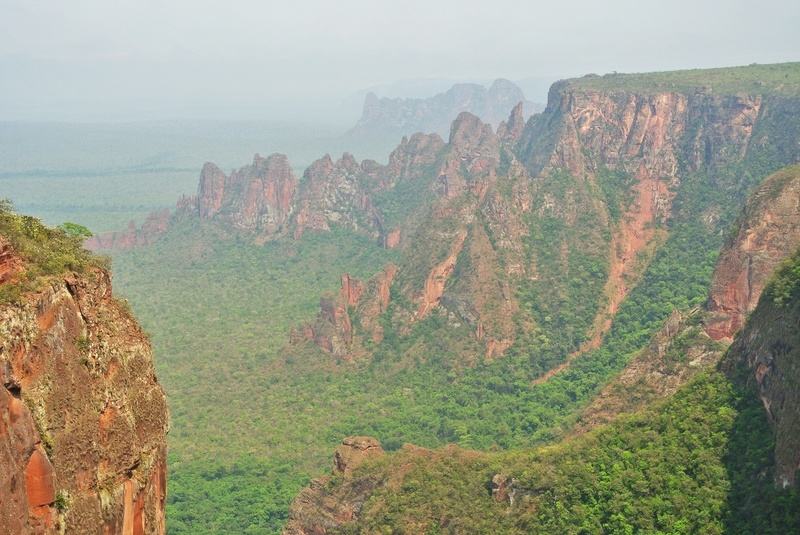 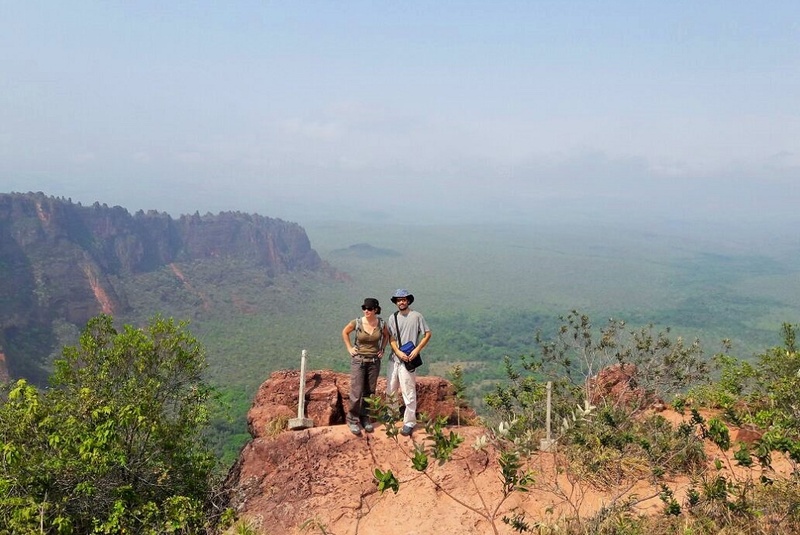 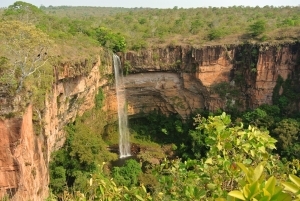 After that, we go and see Veu da Noiva waterfall (nice but it feels small after Iguacu) and the canyon Ponto Geodesico that overlooks the Pantanal. 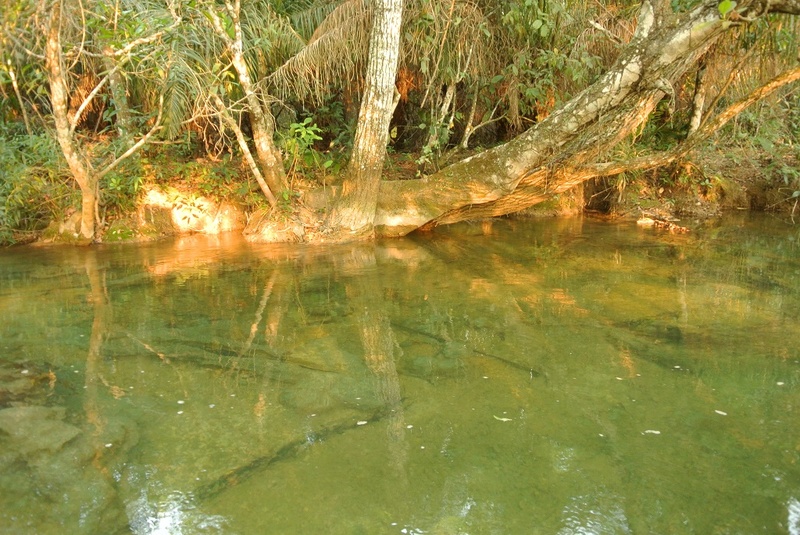 Given the unbearable heat that dissuades us from attempting another walk, we stop along the rio Claro for a short swim, as the water is very clear here too.